GLOUCESTER, Mass. – The city is seeing more heroin overdoses today than it did two years ago when it introduced a unique amnesty program replicated by hundreds of police departments across the nation that encourages addicts to turn in their drugs to police without fear of arrest to get fast-tracked for treatment. About halfway through the year, Gloucester, a historic fishing city north of Boston, has had 16 confirmed or suspected fatal opioid overdoses, police Chief John McCarthy said. That’s on pace to exceed the nine confirmed cases the city saw last year and 10 in 2015, when the ANGEL program launched, according to state data. At the same time, the number of addicts walking through the police station doors has declined. The department has helped 564 addicts get into treatment, but roughly two-thirds of those came within the first full year. McCarthy estimates the department is averaging about one walk-in per week. 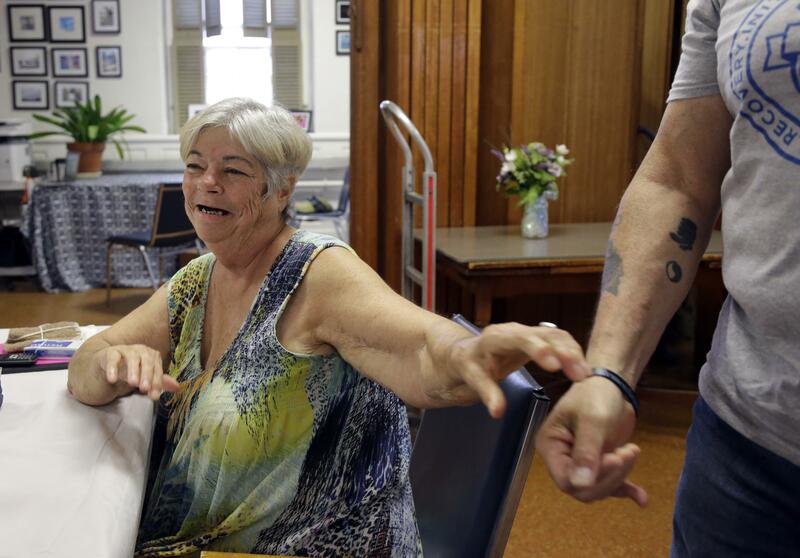 Gloucester, like many other communities, is seeing more addicts overdosing on more potent varieties of the drug than it did when its amnesty program rocketed to national notoriety. The rising toll is prompting city officials to try new approaches. Police and the addiction counselors they work with have been stepping up efforts to reach addicts on the streets and in the homeless shelters and other places they congregate, rather than waiting for them to come through their doors. McCarthy, who took over last October after the prior police chief and founder of the ANGEL program was forced into retirement after misleading investigators in an unrelated matter, says a recent spate of overdoses on fishing vessels prompted local officials to start distributing Naloxone, the overdose reversal drug commonly known as Narcan, to boat operators and training their crews on how to use it. The Police Assisted Addiction and Recovery Initiative, a nonprofit established to help the Gloucester police and more than 260 other departments in 30 states that have adopted its model, has also brought on a number of full-time staffers, including an outreach worker whose job is to keep up with the hundreds of addicts who have gone through the program and to seek new participants. The organization, which goes by its initials, PAARI, has also received a grant to post 25 AmeriCorps service members at police departments throughout Massachusetts to do similar work. It’s working with the local sheriff’s office to start assisting prison inmates with substance abuse problems as they’re released. Few experts are willing to fault the ANGEL program for failing to curb the growing opioid epidemic. Indeed, at least 2,500 people have been placed into treatment through the program and its affiliates, PAARI says. “Opioid overdoses are soaring in much of the country, and the total for Gloucester might well have been higher if not for the ANGEL program,” said Keith Humphreys, a psychiatry professor at the Stanford’s School of Medicine who is not affiliated with the program. Gloucester police still have the open-door, no-questions-asked policy that was the hallmark of the original ANGEL program. But as a practical matter, they’ve done away with the volunteer “angels” who helped provide emotional support and counseling to addicts as they awaited transfer to a treatment facility, a process that used to take hours, McCarthy said. These days, few addicts come into the station. Most call the department and can typically be connected to treatment by a police officer or PAARI, which opened its office across the street. Former addict Richard Naugle says he’ll be “forever grateful” for the new ways Gloucester officials are reaching out to addicts. The 39-year-old father of two young boys says their efforts put him back on the right path after he was arrested in February for stealing thousands of dollars from a hardware store, where he worked, to support his oxycodone addiction. Naugle, who was sentenced to 18 months’ probation and ordered to pay $25,000 in restitution, was referred by police to Rodriguez at PAARI, who quickly placed him into treatment and has kept tabs on him. Naugle says he’s now six months sober and working at a power equipment repair shop. Published: July 24, 2017, 2:42 p.m.